Arrive at the Hong Kong airport. Meet our local tour representative who helps you with an assisted transfer to the hotel. Complete the check-in formalities at the hotel. As the afternoon is at leisure, you can take rest. In the evening, visit the very popular Madame Tussauds Wax Museum, which houses wax statues of popular celebrities, world leaders, sports heroes, cartoon characters, music icons and so on. Some of such statues are of Mahatama Gandhi, former US President Barack Obama, Lady Gaga, Princes Diana etc. Do not miss out on clicking photographs with them. Day 2 is going to be fun-filled and a memorable experience for people of all ages. Post breakfast at the hotel, continue to Hong Kong Disneyland. There is going to be adventure, entertainment and fun. 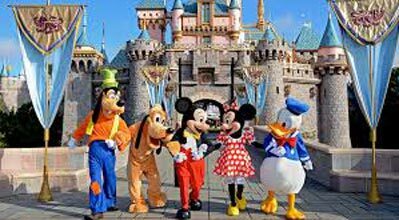 Disneyland is divided into a number of sections with varied themes including Main Street USA, Mystic Point, Grizzly Gulch, Toy Story Land, Tomorrow land, Fantasy land and Adventure Land. Each theme-based section here has some thrilling rides, and wonderful Broadway-style shows. You will also come across popular children characters roaming here and there such as Minnie Mouse, Mickey Mouse, Donald Duck etc. Get yourself clicked with them. In Toy Land, you can also interact with your favorite toys from children movies. Have a splendid visit to the Sleeping Beauty Castle. There are various shops too, selling amazing Disney merchandise. Conclude the day with a musical lighthouse in the closing hour, which is one of the main highlights here. Lunch is inside the amusement park itself. 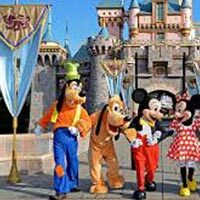 Disneyland has several roller-coasters, 3D rides, spinning rides, water play rides, toy car racing, parachute drop and much more. Post breakfast on day 3, get ready for half day city tour. Visit the Aberdeen Harbour to get a sneak-peek into the life of the fisher folk of the region. Next in line is the visit to Repulse Bay Beach, one of the most popular beaches in Hong Kong. This is a crescent-shaped beach that is located close to a number of popular city sights. After lunch, continue sightseeing and visit the Victoria Peak. For going-up, there is one-way Peak tram ride. Once at the top, savor the stunning views of the city. The Peak is1503 feet, above the sea level. The other visit of the day is to Jewellery Factory and Canton Road. The remaining day is at leisure. In the morning, enjoy breakfast, followed by check-out formalities at the hotel. Thereafter get transferred to the ferry terminal to go on-board a ferry to Macau, also known as the 'Casino Capital of Asia'. On arrival, get an assisted transfer to the hotel. After the check-in formalities, the rest of the day is at leisure. Explore the place on your own and indulge in the activities of your interest. The place is full of entertainment and fun-filled activities, and thus is also nicknamed as the 'Las Vegas of Asia'. 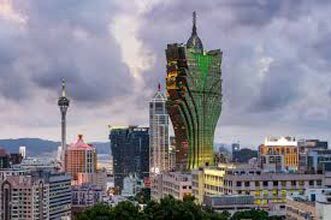 Breakfast is followed by half-day city tour of Macau including its popular attractions. Visit A-Ma temple- one of the oldest temples in Macau, it is dedicated to the Chinese sea-goddess Mazu. Next explore the ruins of St. Paul's church- a 17th-century complex in Santo António with a church and a college. Later, you drive pass Penha Hill and halt at Macau Tower for a photo opportunity. The evening is at leisure. You can visit any of the popular casino here to try your luck (on your own). The dress code of the casinos is formal. Post breakfast, complete the check-out from the hotel. Get an assisted transfer to the airport to board the flight for your onward destination. Vibrant Hong Kong And Macau With Endless F..